We welcome the publication of the Intelligence and Security Committee (ISC) report into last year’s terrorist attacks and will now study its findings and recommendations carefully. As we think back to those tragic events, it is the 36 people killed, their families and the hundreds who were injured that remain foremost in our minds. We are determined to do everything in our power to ensure that wherever possible anyone who played a part in the attacks is brought to justice, whilst continuing to support those affected and the coronial inquests. Every day our staff work tirelessly to protect the UK. Since the Westminster attack in March 2017, UK Counter Terrorism Policing and MI5 have foiled 13 Islamist-related and four extreme right wing plots. In the 12 months to 30 June 2018, police made 351 arrests for terrorism-related offences, while over the same period there was a record 90 convictions for terrorist-related offences. The UK continues to be internationally recognised as a global leader in countering terrorism. However we are deeply committed to learning so that we can refine our response to the evolving threat. As we saw in 2017, attacks can get through at any time and any place. The focus of the ISC review was what the intelligence agencies knew about the perpetrators before the attacks, whether more could have been done to stop them and what lessons could be learned for the future. Although the ISC statutory responsibility does not include oversight of policing matters, we voluntarily contributed to this review, offering cooperation and access to assist the committee with their detailed work. This review follows the UK Policing and MI5 Operational Improvement Review, carried out in the aftermath of the attacks, with independent oversight provided by David Anderson QC; and external examinations such as the Kerslake Arena Review. 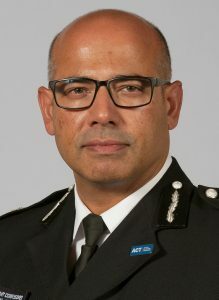 Today the national head of Counter Terrorism Policing, Assistant Commissioner Neil Basu, said: “We are grateful for the depth and breadth of this review. We will now look in detail at the full report, which we will need to take time to consider carefully. “There will be further scrutiny and examination into the circumstances of these attacks, including coronial inquests and other potential criminal proceedings, which may preclude us for the time being from commenting publicly to some specific points raised. “In the meantime we would like to reassure the public that ever since the attacks of last year we have sought to learn from what happened before, during and afterwards, and improve our wider operating model and ways of managing and mitigating the risk from terrorism. “We will not let the terrorists who carried out these appalling attacks to succeed in scaring and dividing us. Working evermore closely with the Security Service and learning our lessons, we will do everything we can to reduce the chances of this happening again. – Better use and exploitation of data. The UK continues to face an acute threat from terrorism, one which is multi-dimensional, evolving rapidly and operating at a scale and pace we have not seen before. We currently have over 700 live investigations involving some 3,000 individuals posing the biggest threats, with another 20,000 individuals who remain of concern.